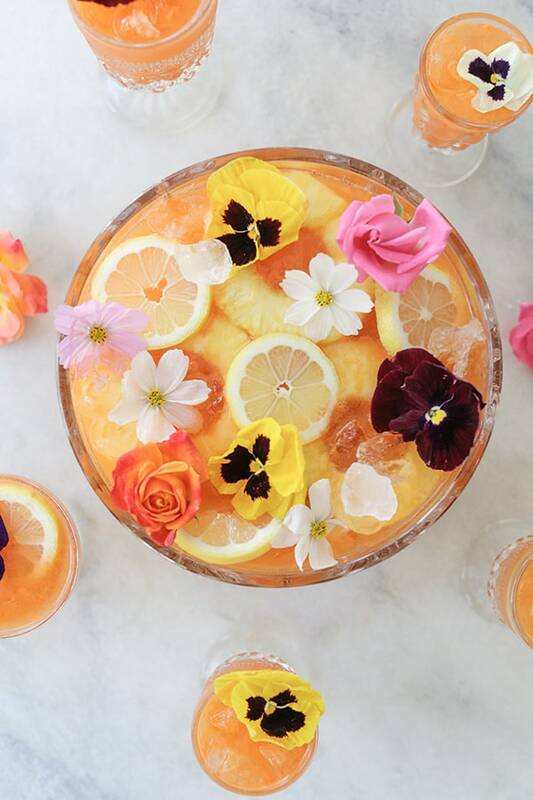 This Pineapple and Carrot Gin Punch is the perfect libation to help you hostesses and hosts step into spring! Yes, by the look and sound of it, it could be the signature drink of Carrot Top! But trust us, this delicious punch is no joke. 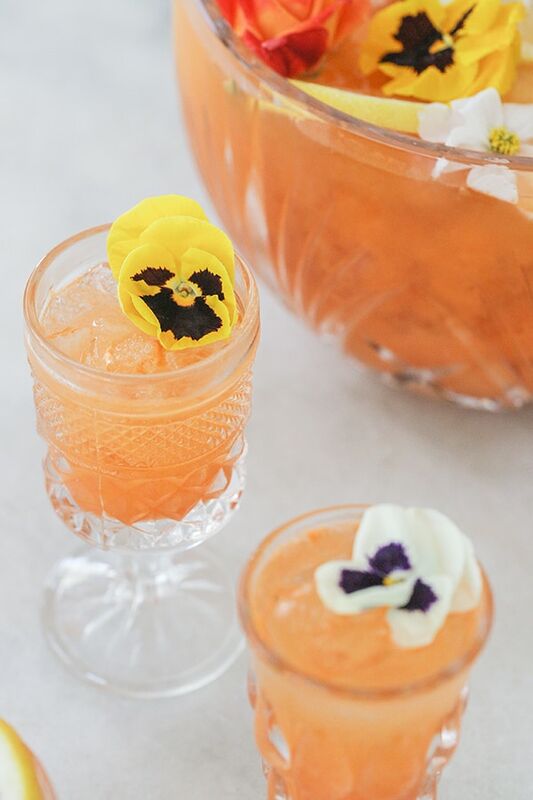 For this gin punch recipe, we combined pineapple juice, lemon and carrot juice with some ginger beer and gin, of course, to create a very springy punch that’s easy to whip up and tastes somewhat tropical, but with subtle garden vibes, obviously from the carrots! We’re all down with getting some beta carotene while we sip spiked punch right?! 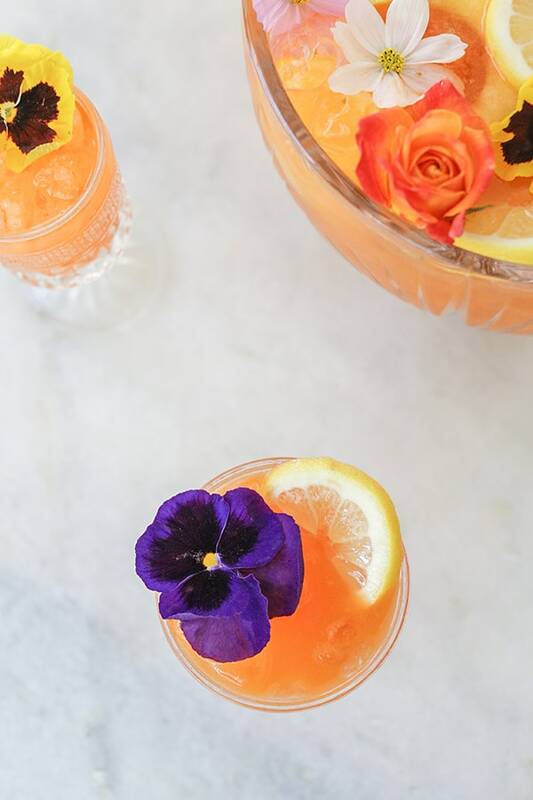 And we had to garnish it with edible flowers since they always add charm to drinks and desserts! 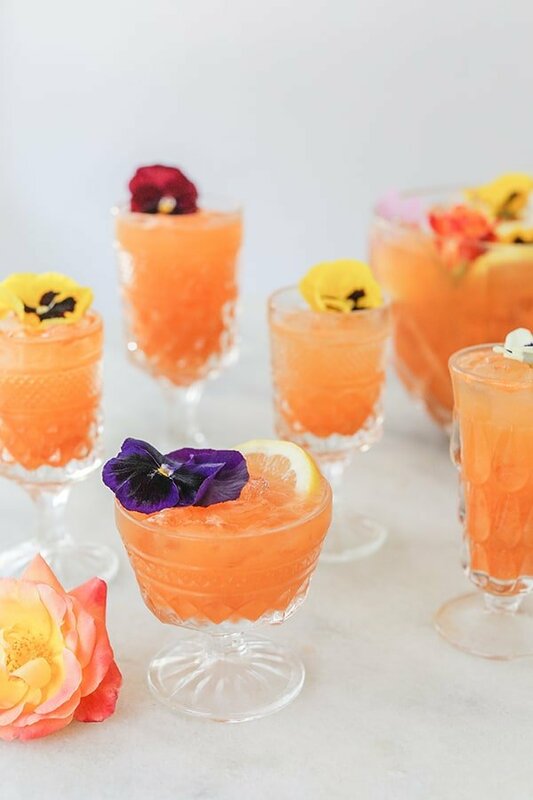 This Pineapple and Carrot Gin Punch has a nice blend of spring flavors that work perfectly for an Easter brunch or a general spring gathering. 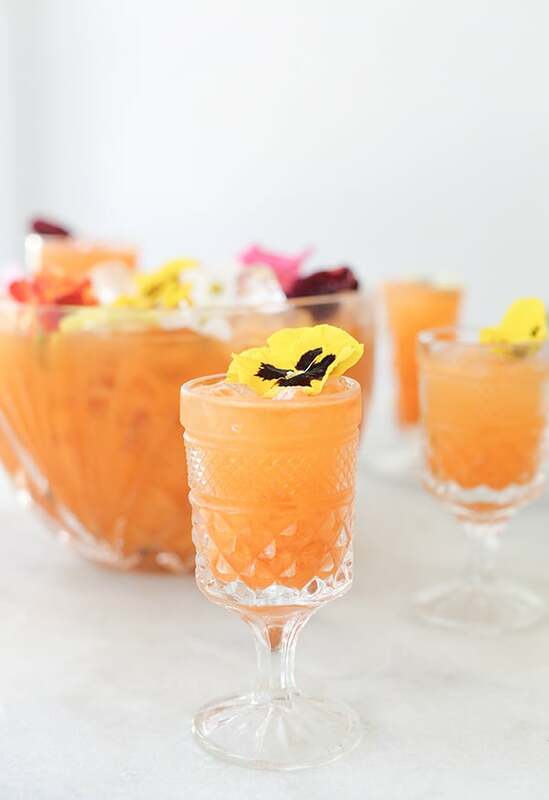 And if you like cocktails with carrot juice in them, try our carrot mimosa too! Stay charming and enjoy! Add all of the ingredient in a punch bowl and stir. Always taste the punch to alter to your preference. Add in the ice and the garnishes.